Attorney Tracy Myers-Dumm is certified as a specialist in the practice of workers’ compensation law by the Pennsylvania Bar Association’s Section on Workers’ Compensation Law. She has extensive knowledge and experience dealing with the complicated Pennsylvania workers' compensation system, as well as navigating Social Security disability claims. If you have a work-related or disabling condition, Attorney Myers-Dumm is on your side. She's an advocate for her clients' rights every step of the way. Attorney Myers-Dumm received her Juris Doctor from Capital University Law School. She earned her Bachelor of Science degree from the University of Pittsburgh. 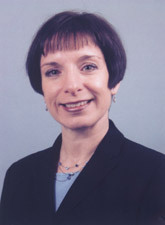 She is licensed to practice law in all Pennsylvania and Virginia State and Federal Courts. Attorney Myers-Dumm is a volunteer at the Somerset County Humane Society. She was formerly on the board of the Allegheny Ballet Company.